[+1521, -128] I saw the movie yesterday. The content was really fresh and the actors were so good. However I was disappointed with the predictable ending. Aside from that, it was overall interesting. 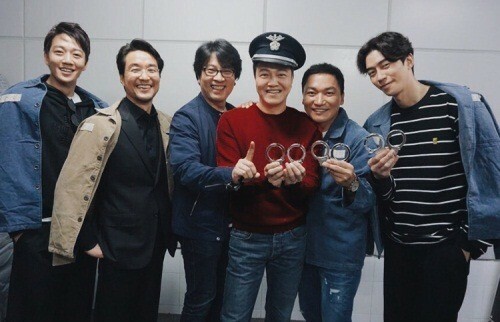 [+131, -11] Jo Jae Yoon is in this too? Is he a prison style movie specialist? [+113, -15] There's a lot of content... but why did Han Suk Kyu's character turn out the way he is? I didn't understand why... I think it was different in the Director's Cut.